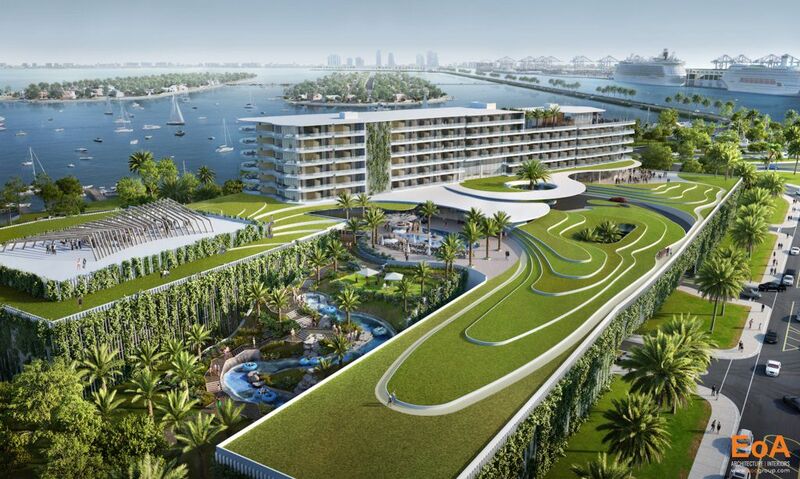 Jungle Island is preparing an expansion that will include a 300-room eco-resort, with a water slide from the hotel lobby into the park. Voters approved the expansion and an extension of the lease in a referendum held in August. 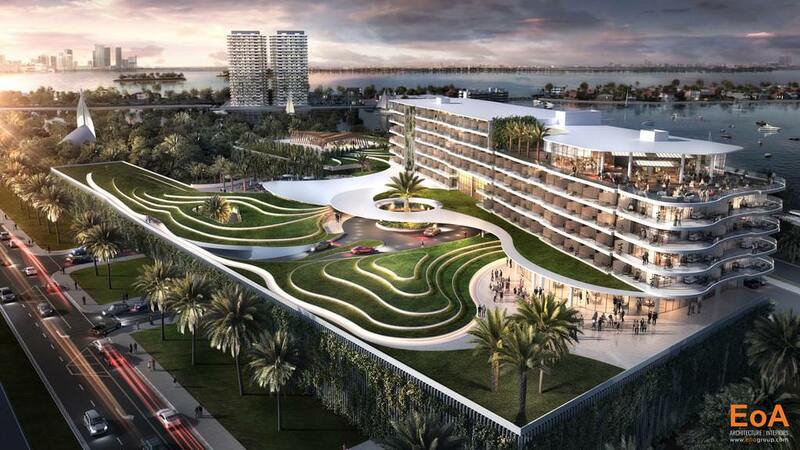 Now, the owners of the park are preparing to win approval for a new hotel from Miami’s Planning & Zoning department. Before they do so, they are asking city officials to look over the preliminary design, according to the Herald. As part of the vote, a height restriction of 130 feet has been put into place capping the hotel height at 13 floors. 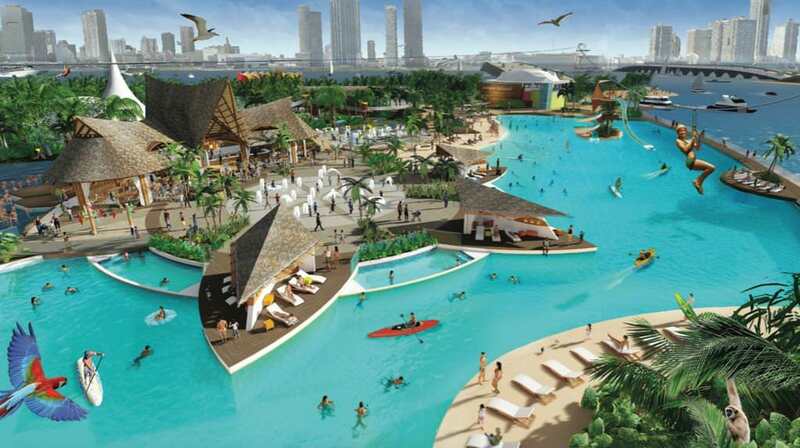 Also included in the expansion will be a crystal lagoon the size of two football fields, with water slides and a beach club. 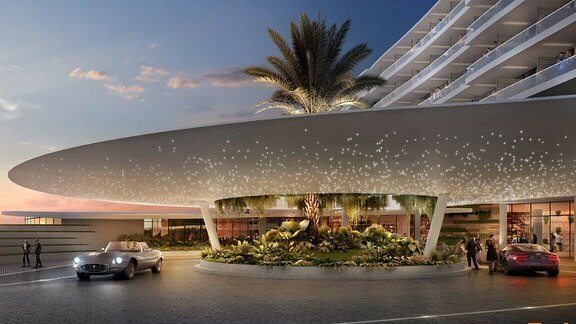 EoA Group of Coral Gables is the architect. I’m never a naysayer on projects but a Watson Island development has been pending for over two decades now. Oh and what ever happened to that Dodge Island trade center they suddenly proposed when Beckham was looking for a spot for a stadium. Interesting, but id be more impressed with a water slide from my hotel room into the park. Yeah… Do you really want a bunch of wet kids in the lobby? Won’t that make the lobby damp and reaking of chlorine? Preliminary design…meaning something far crappier will be built in the end. Any similarity with the ESBEC Heroes de Chapultepec in Guira de Melena is a pure coincidence. I Didn’t Know 1980’s postmodernism was trendy again. I think this is a good idea from the developers… that zoo was in dier need of a facelift. Hopefully this will give people more reason to visit and give it new life. Watson Island should be a public park. 10 story parking platform? Typical stupid plan. Parking pedestal should be stepped back from the road. No amount of greenery is going to hide that parking garage. PLease paint it in hot pink and teal. Even the cars in the rendering are dated. Yep and having a baylink station to connect it with Miami Beach and Miami. I’m very much NOT looking forward to how dumbed down, bland and NOT like the amazing renderings this will actually end up looking like. 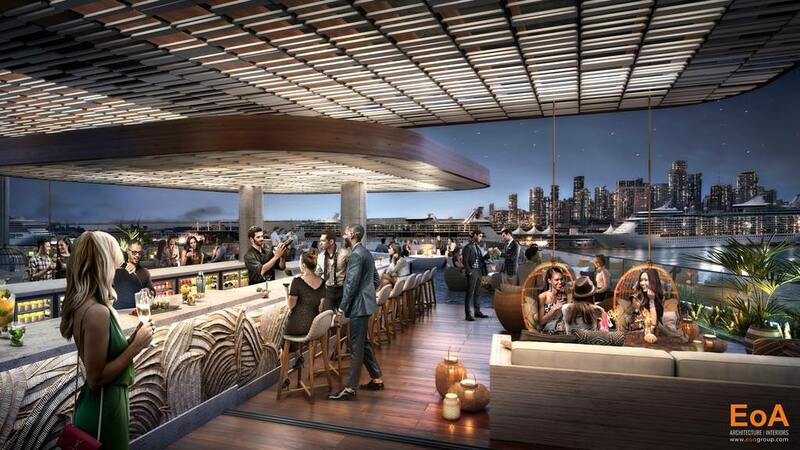 Just like every other amazingly rendered project proposed in Miami. Fantastic Photos, I look forward to seeing the development of it all. So what?.. how many times did Donald Trump file for bankruptcy? Lol, Trump he’s a joke… Have you read about his finances? muh but Trump, you have anti-Trump derangement syndrome. A bankruptcy means the business failed. Not a good thing whether Trump or anyone else. I see.. you hate the people in this area that are there because back in the day white people told them you can’t live here in my area. So they forced them into this place called “Overtown” and now you’re real happy at what your white forefathers did. Why don’t you wish for the boys in your area come and drop feces all over this place?